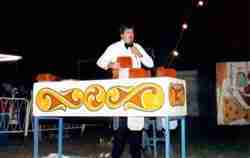 The Boyd Family Circus was small circus operated by Roger Boyd Jr., his wife Marina Boyd and their son Marcelo. These circus was framed in the mid 1980 to show fairs and events in the eastern United States. The consisted Marina performing her "Hair Hang" act and "Spanish Web", Roger serving as ringmaster , knife throwing and presenting illusions, while Marcelo provided technical support operating the theatrical lighting and sound system. 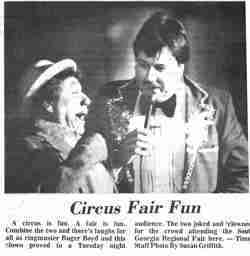 The show also including Jose Diaz (clown) and Joel Williams (juggling). 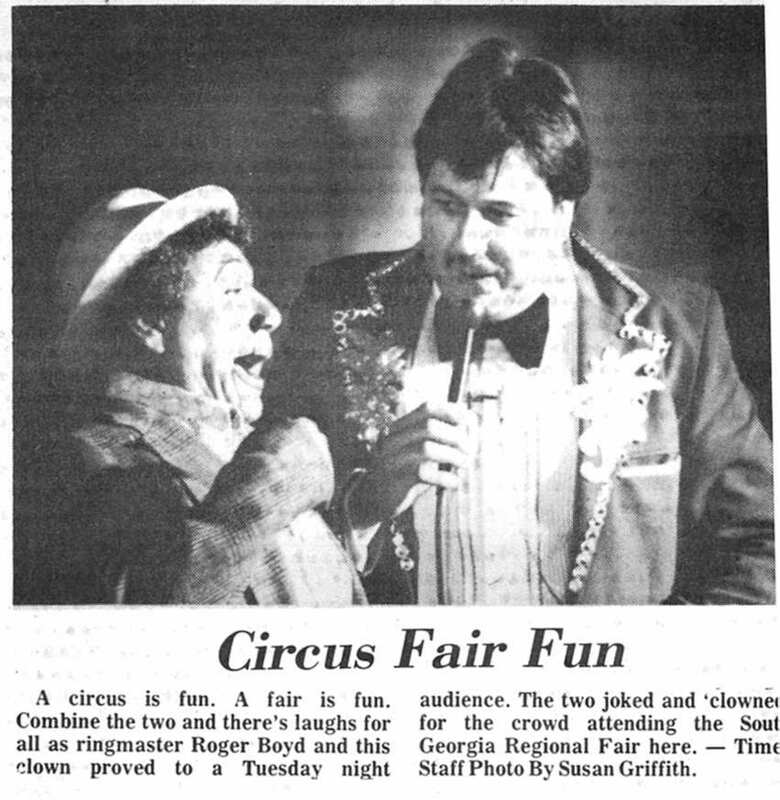 Roger, Marina and Marcelo all grew-up in the circus business. 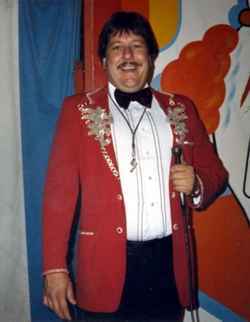 Roger, son of ringmaster Roger Boyd Sr. is best know for operating circus sideshows. 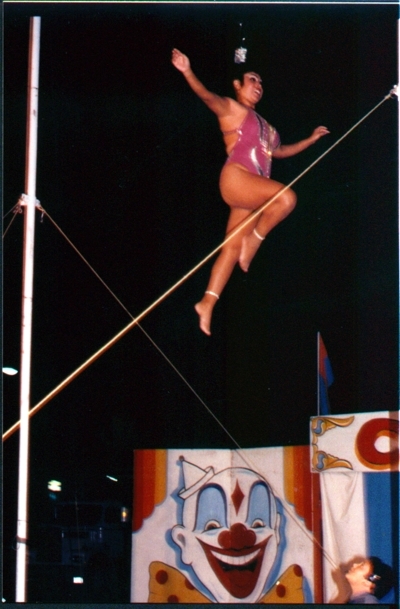 Marina, grew up in Mexico, performing unicycle, juggling and aerial numbers with her family's circus act "Las Hermanas Diaz (The Diaz Sisters)". 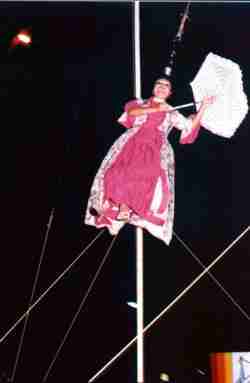 The family worked for many years with Circo Atayde, through Central, South and North America, the move to the United States. 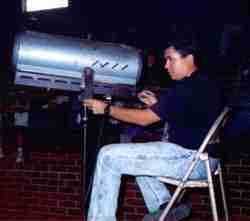 Marcelo was born on the road in Kenton, Ohio, while the family worked with Hoxie Tucker's "Hoxie Bros. 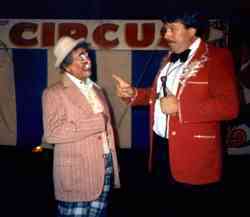 Circus". At three years old his first duty on a circus was to lead one of the circus elephants "Betty" so that patrons could could feed and pet her.